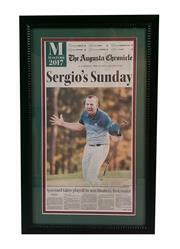 The First page of the Augosta Chronicle from 3/10/2017 shows Sergio Garcia after winning the Masters. 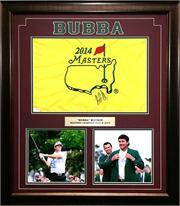 Comes matted in a museum quality frame and ready to hang! 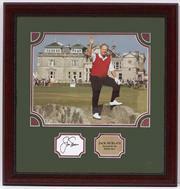 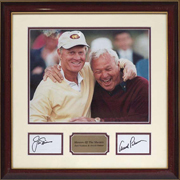 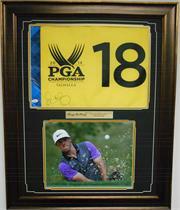 20x24 Autographed Frame - Jack Nicklaus "British Open Farewell"